Is it time to upgrade from one Porsche model to the next? When you’re ready to drive a new one in Mandeville, LA, you should look into getting a Porsche Macan lease. Not only is this luxury SUV is an ideal combination of durability, performance, and comfort, but leasing it can be a great way to maximize your finances. Before you choose this option, make sure you understand the benefits of a lease and when it makes the most sense. Think about a lease as similar to renting a home. If you rent a place to live, you generally can’t do any remodeling work unless the landlord approves it. With a Porsche Macan lease, you can’t modify your vehicle at all. This means you’ll have to hold off on changing the paint color, tinting the windows, replacing the stereo, and making any other enhancements. Also, the dealer will set a limit on the number of miles you can drive. Usually, you’ll have a cap of 12,000 to 15,000 miles per year. There are penalties if you exceed that mileage. Luckily, you have some end-of-lease options that could help you if you drive a lot. Most dealers will allow you to bypass the mileage penalties if you purchase the vehicle at the end of the lease. Some Mandeville, LA, drivers also like the fact you can usually trade in the vehicle for another lease. Yet another possibility is selling the vehicle to a private buyer before the lease expires. If you think a Porsche is out of your financial reach, it may surprise you to know that a Porsche Macan lease will come with smaller monthly payments. Instead of paying for the value of the vehicle, you’ll pay for the amount the value will depreciate during the lease. Beyond this benefit, you also won’t pay as much in taxes and registration fees when you lease. You may not even have to pay as much of a down payment. Though interest rates go up and down all the time in Mandeville, LA, you’ll find lower rates with leases than loans. If you’re fortunate, you may have a rate two or even three points lower when you decide to lease. 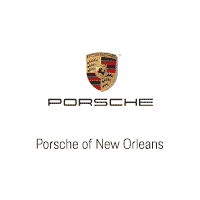 Mandeville, LA, drivers love taking advantage of a Porsche Macan lease and its many benefits. If this intrigues you, it’s time to make your way to Ray Brandt Porsche and discuss your options with a sales associate.